Friday Filler – Respectfully Eat My Shorts Mouse Boy! OK. Yes. 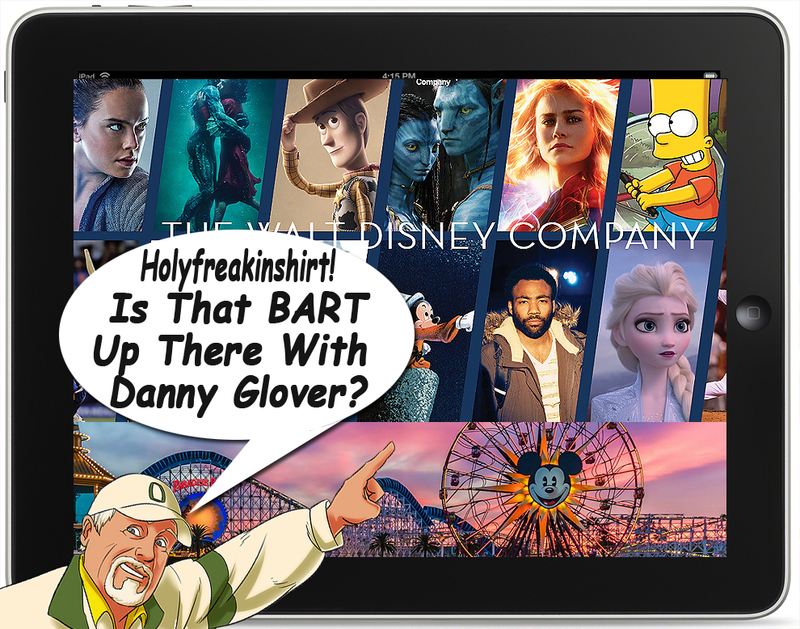 So, the headline is a bit of a taunt to the Simpsons’ new dark ruler…if you actually believe that Disney is as bad as all of the old school, traditional media types believe they are. I am not in that camp. In fact, I am one of those who thinks that large, efficiently run, diverse, amazing companies, should be allowed to rise to the top, and be everything they can be, without the fear of being called “a monopoly.” Companies that get too big, ultimately go the way of Rome, and buckle under the pressure of handling too much…with too wide a grasp. Ask Microsoft…and perhaps even Facebook. But, I like the world better with Google and Amazon. Too political? The Disney statement is bold. Yes. But, both Disney’s new Masthead, and “Sizzle Reel” released this week when the ink was barely dry on the final acquisition papers of Fox Entertainment, would tell a story that should put this conversation to bed. First of all…yes…the snow is still hanging around. Not happy. But, that’s life…right? Something pretty, turns ugly, and dangerous, and then won’t leave. Sounds like my first wife. (*snare drum/kick drum- Ba Dum!*). This has been a very odd mini-event. It was ridiculously EAsy…even by today’s mini-event, mini-expectations. I finished the whole thing on Tuesday. As in, more than a week ahead of schedule. And, I didn’t even tap regularly. I was so busy ignoring the game in my downtime, with a couple of exceptions, that I wasn’t even aware of a HUGE SOMETHING that transpired…that may not just be a Game Changer, but could also be… (Gasp!!) 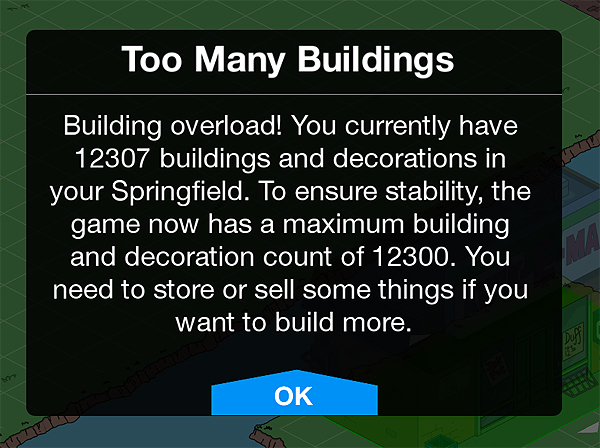 The End Of TSTO as we know it! This week, right in the final stages of planning our huge FUNdraiser for my Rotary club…and pulling 16-hour days, 7 days a week for the last 4 weeks, we got hit with what they are calling a “100 year snow event.” It was impressively insane…but, anyone my age remembers a handful of “snow events” bigger than this one. We did get almost 2 feet…really fast ( we got 4′ in 1969). And it was the kind of heavy, wet snow that breaks trees…and power poles…and all sorts of other stuff. It’s the kind of snow that had all of the West Coast folks going, “Oh…isn’t it beautiful! I hope we get a Snow Day!” after a few hours, but then, “OH DEAR GOD…PLEASE LET IT MELT!! So they can turn the electricity and cable back on!” after three days of more snow…freezing rain…and biting wind. And by Wednesday night…it was obvious…we had to postpone the event. So there were 225 people to be informed. Catering cancelled. Everything put on hold. And boxes and boxed of auction items stacked up in my family room. But then…things got weirdly joyful. I am now one week away from our Rotary club’s big event. I took this on, because after doing two weddings last year, I figured, “how hard can it be to do a huge event for 200 people and raise $70K?” Reading that line in print…makes me realize that maybe I should have read that line in print a few months ago, before I agreed to “chair” this thing. The Southtowne SpeakEasy is going to be epic. If I live long enough to get through it. Anyway, to say that I am not happy that we have some down time in the game this week, would be a bold-faced lie (And let’s face it…we don’t need any more bold faced lying going on in the world. Our liar cup runneth over). But, even in downtime, when everyone else has a chance to design, catch up, be creative and expand…I find myself having to do more, with less, even though I have more to work with. That’s right…I’m talking about the idiotic Item Limits that continue to vex me. I hit it again last week. The hard item limit. The real deal, “You need to store…blah…blah….blah…” item limit warning. And just when I had a ton of donuts to spend! But, I found a solution! I get it. Really, I do! EA/Gracie have to stick to at least some semblance of storyline extracted from actual Simpson’s episodes. But, man…this just took a nasty turn. Even worse, when I went back to look at the full episode that this final portion of our Love Springfieldean Style (E12S19) event is based on, I was reminded just how much I hated it. This episode is from the era of the Simpsons that almost destroyed the legacy of great writing that proceeded it. Some would argue that the “Golden Era” ended after 10 years. But, I would argue that this past season has really been a return to clever, more personal stories that made the show great. But, man…this episode…this “thing that defies description”…it really doesn’t cut it for me. Don’t get me wrong…. I like a couple of the items we are getting for free this final chapter. But, the story behind it? Not so much. As I like to do after one of our fundraisers, I am printing a list of those who made the effort to donate in this last round of School Book Funding for the school in Uganda we support. 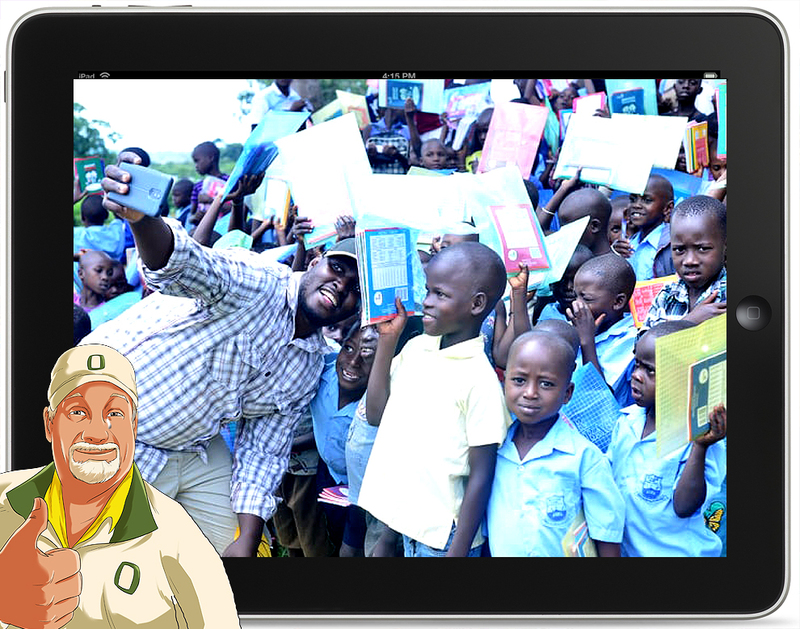 This is the 13th round of books, supplies and teaching aids we have provided to this little school in the middle of the Ugandan jungle. Without us, there would be none of the critical books and supplies needed to educate more than 270 children from the village of Buyijja, and other villages in the area who have no other school. The best news of all, these gifts are changing lives…and the teachers there are reaching goals of success. of which many schools in developed nations would be proud. Let’s start with a reminder. This game, the show, and all of the “definitive guides” that are offered up in the pantheon of Simpsons lore, is just that…lore. It’s made up by people who either work every waking hour to unravel the mysteries of a specific topic, so as to become an “expert,” (or become conspiracy theorists and get talk shows), or they are just well-meaning fans that have their opinions about where things are, and how they work, in a world that is completely malleable…because it’s all made up. 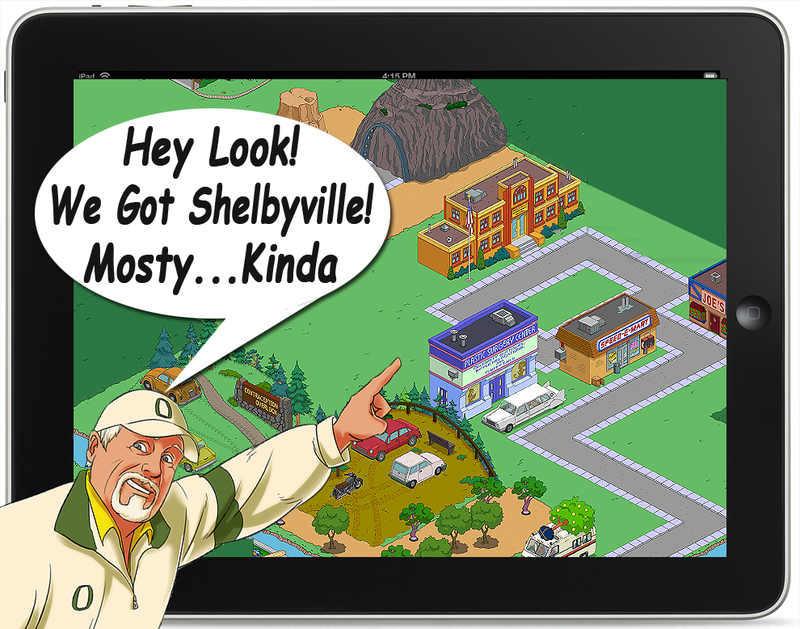 That said…we now have yet one more cluster of items to add to our own self-imagineered towns…the much anticipated, much desired, much sought after, Shelbyville! Look. I’m gonna cut right to it. I’m not in the best of moods to be writing today, as I am dashing this out, before heading off to a funeral for a friend. If you think you are tired of hearing me writing about maudlin stuff…imagine how I feel, living through a bunch of maudlin news. But, it seems to come with the age. At this stage in life, the lottery for a long life and the “expiration button” seem to be just a click away. But, I admit to being rattled a bit by the “selection process.” So many really good people gone…early by most standards…when so many jerks are still around. But, that’s life. Nobody said it was fair. And the randomness of “who goes when,” is what should keep those behind appreciating the little things in life that make us happy…like TSTO and this great community of tappers! 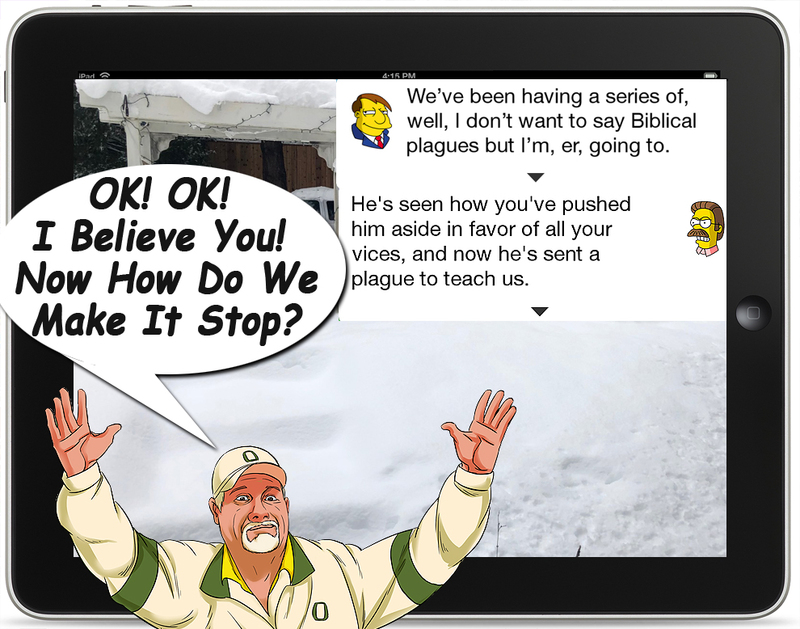 And….let’s face it…most if not all of the news we got in TSTO was anything but maudlin! We finally got an answer (we think) for the final stage on the Golden Goose Realty. AND (speaking of “Finally”), we got a tool that we have been asking for in TSTO, almost as long as there has been a TSTO! 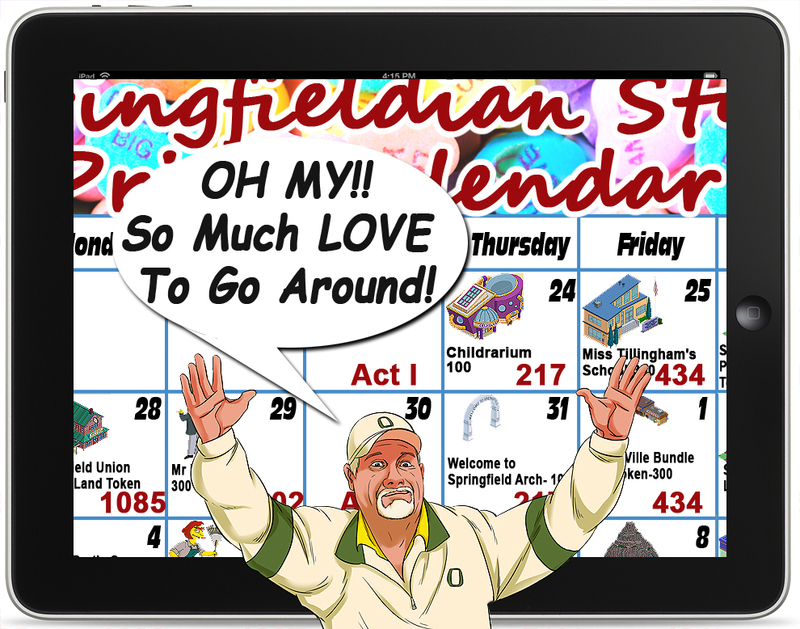 Love Springfieldian Style – Full Event Calendar and Math You Need to Get It All! 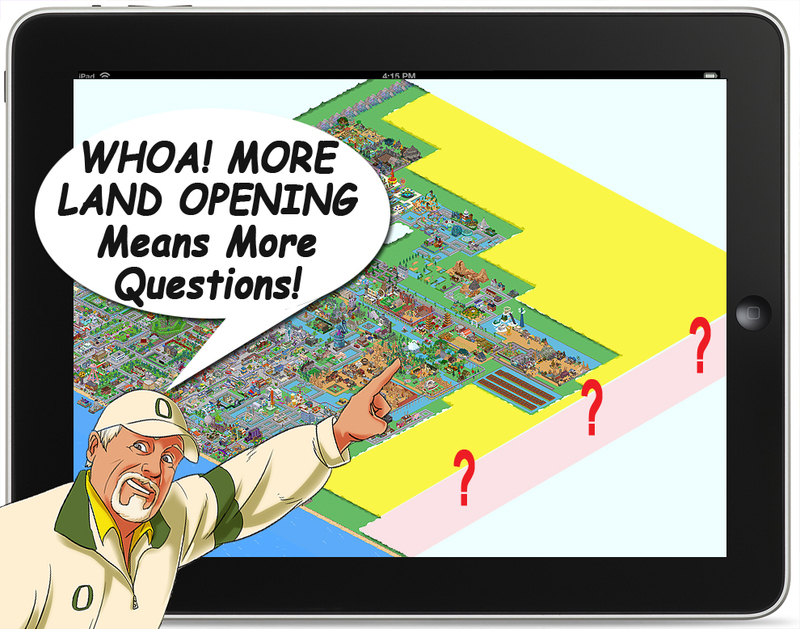 It started off with a tool that we have been asking for since…well…since TSTO came into our world! The Full Town Photo tool…is just perfect (as long as you have the memory to make it work). I do. I love it. I’ll talk more about it in the Friday Filler. But, what you all came here for, is the Calendar. And the fact is, because I love this event, and love you guys, and pretty much am just loving life right now, I went out of my way to go ahead and create a HUGE Gregorian style Full Event Calendar, so you can stay on track, and Get It ALL! I can’t believe how many questions the addition of the Golden Goose Real Estate building opened up! Three HUGE questions, or “goose chases,” that really forced me to do some serious research, math, and some additional Goose Guessing! 1. How Many Land Sections Are There, and how many do I have left? 2. Does it make sense for me to hoard my Free GGR land certificates, or should I move ahead and turn them in for Free Donuts? 3. Where in the heck is “True North” in TSTO? Well…as much as it seems to be an impossible task to answer all of these in one single post, I am just the tapper to take it on!